The 8 inch Tailor's Clapper is a trusted pressing tool for fashion sewing, and is handy for quilters, too. The hardwood Clapper is used to set crisp seams, without shine. 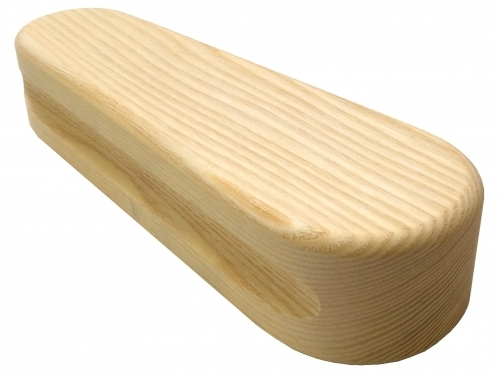 Clappers are rounded on both ends and designed with side grooves for comfortable gripping. One end is tapered smaller than the other end for multi-sized projects.